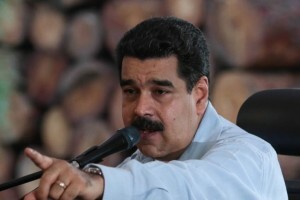 CARACAS – Venezuelan President Nicolas Maduro is accusing JP Morgan of trying to sabotage Venezuela’s state oil company, and he’s threatening legal action. JPMorgan analysts said on Monday that state oil company PDVSA was delaying $404 million in payments on 2021, 2024 and 2035 bonds. Maduro says on his national radio show that the delay is due to Citibank, which he says allowed a backlog to interfere with payments. The terms of the bonds permit PDVSA to put off payment for 30 days before being considered in default. Maduro said JP Morgan committed a crime should at least apologize. The company hasn’t responded to an email request for comment. PDVSA is the lifeblood of Venezuela’s faltering economy, which is beset by high inflation and shortages.